MOSCOW, April 3. /TASS/. Moscow has responded to NATO’s statements on its intention to guarantee the passage of Ukrainian vessels through the Kerch Strait made by US Ambassador to NATO Kay Bailey Hutchison in a negative way, Russian Presidential Spokesman Dmitry Peskov told reporters. "In a negative light," he said when asked how Kremlin viewed such statements. "We do not understand what that means." 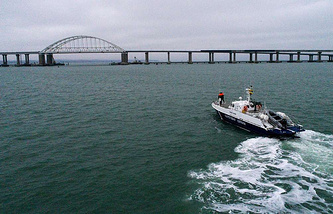 "According to Peskov, "the situation with the Kerch Strait and navigation there is well known." "In accordance with international law, Russia’s stance is very consistent and is well-known too," he added. Commenting on the possibility of NATO ships’ passage through these waters, the Kremlin spokesman noted that it was necessary to wait for an appropriate request first. 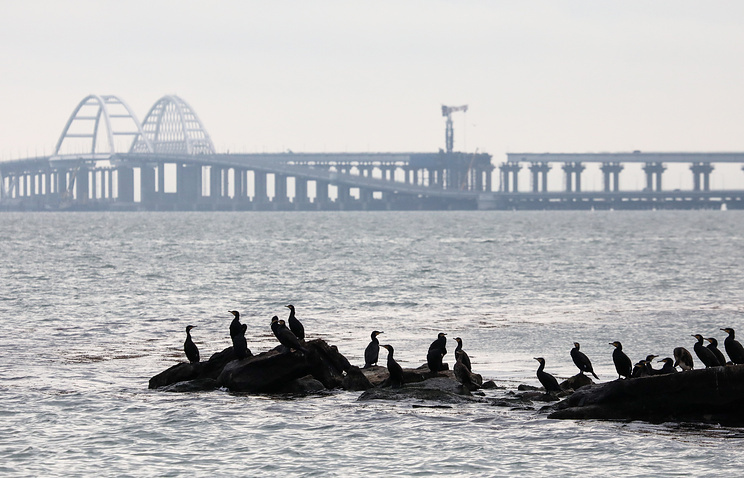 "When this request is received, the decision will be made," Peskov said when asked under what circumstances Russia could let NATO warships pass to the Sea of Azov. "The issue at hand is an enclosed water body, so this is a separate issue, and I would refrain from commenting on it hypothetically." According to Peskov, "there is a certain notification system about such plans, which should be complied with." "Besides, there is a procedure for warships’ presence in the Black Sea, which is enshrined in the Montreux Convention that must be implemented as well," the Kremlin spokesman concluded. NATO earlier announced plans to take steps to ensure Ukrainian vessels’ safe passage through the Kerch Strait and expand the scope of aerial reconnaissance in the Black Sea region. A statement to this effect was made by US Ambassador to NATO Kay Bailey Hutchison. She told reporters at a press briefing on Tuesday that NATO foreign ministers were expected to endorse that package of measures at a two-day meeting in the US, which is beginning on Wednesday.